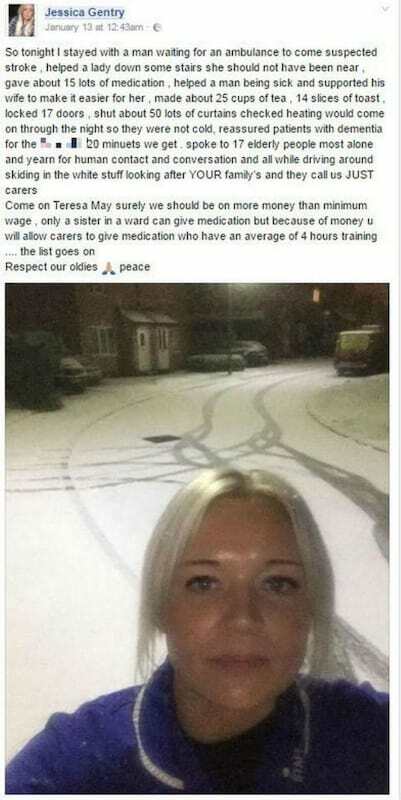 A carer has penned a powerful letter to the British Prime Minister about her intense workload and it got a seriously huge response. 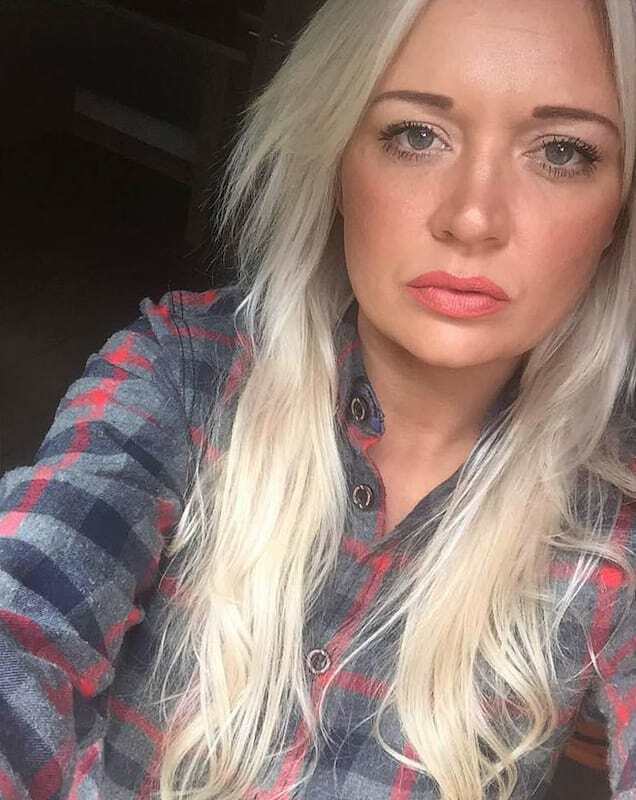 Manchester-based Jessica Gentry revealed all the things she has to do in one night shift as a carer, earning her rounds of applause from around the world. 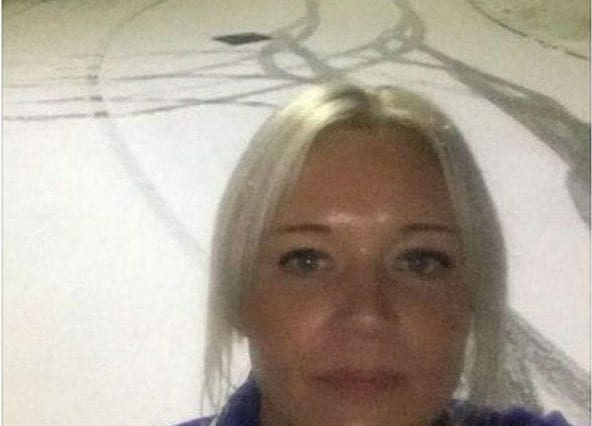 She shared online how she bravely tackled the snow to help and care for over a dozen elderly patients, on a freezing Friday night-shift, The Sun reports. So tonight I stayed with a man waiting for an ambulance to come, suspected stroke. Helped a lady down some stairs she should not have been near. Gave about 15 lots of medication. Helped a man being sick and supported his wife to make it easier for her. Made about 25 cups of tea, 14 slices of toast, locked 17 doors, shut about 50 lots of curtains, checked heating would come on through the night so they were not cold. Reassured patients with dementia for the f***ing s*** 20 minutes we get. Spoke to 17 elderly people, most alone and yearn for human contact and conversation, and all while driving around skidding in the white stuff looking after YOUR family’s and they call us JUST carers. Come on Theresa May, surely we should be on more money than minimum wage. Only a sister in a ward can give medication but because of money u will allow carers to give medication who have an average of 4 hours training ….the list goes on. Since sharing her message on Facebook, the post has been shared over 140,000 times and inspired hundreds of people to praise her for speaking out about the dire situation. You and all other carers should be awarded a medal for all the hard work. Britain’s unsung heroes. Defo need more than minimum wage. Like another emergency service if you ask me. Other carers out there working hard for the community, were moved by her words and spoke out in support for her post, verifying that her sad words were indeed, very much the case. It’s sad that this is so true! But will it ever change? I used to do home care and it’s sad how they expect you to give meds, help the elderly to bed etc in 15 mins and when you run over it effects the next person. 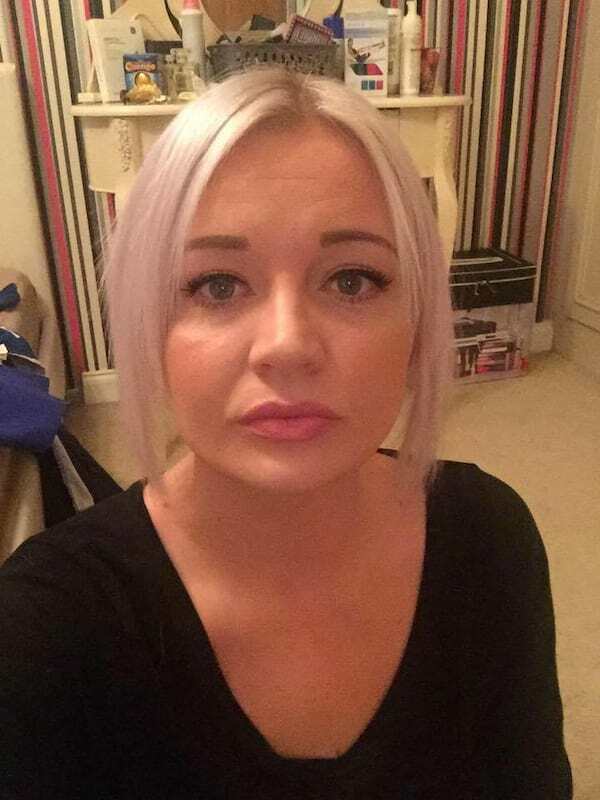 Jessica who shared her heart-wrenching letter, has worked as a carer for over three years and believes that her and thousands like her, are overworked and atrociously underpaid. There are thousands of people all overworked, but we love our job and we care about the people we work for. But we have homes to run too and we need a wage. I don’t think people really understand what we do. It’s not just about giving someone a bath, we talk to people, they look forward to our visits and it means a lot to them as they don’t go out. Her words are extremely important and poignant right now and come at a time of critical change for Britain, as Theresa May outlines her plans post-Brexit. Let’s hope she takes note of letters like Jessica’s and many more ‘unsung’ heroes out there and perhaps one day they will get the wage they deserve.